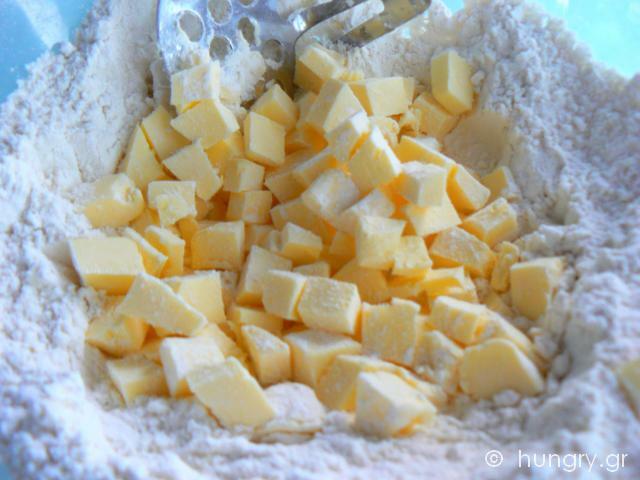 Sieve the flour with salt, make a hole in the center of the flour, cut the cold butter into cubes and add them to the mix. 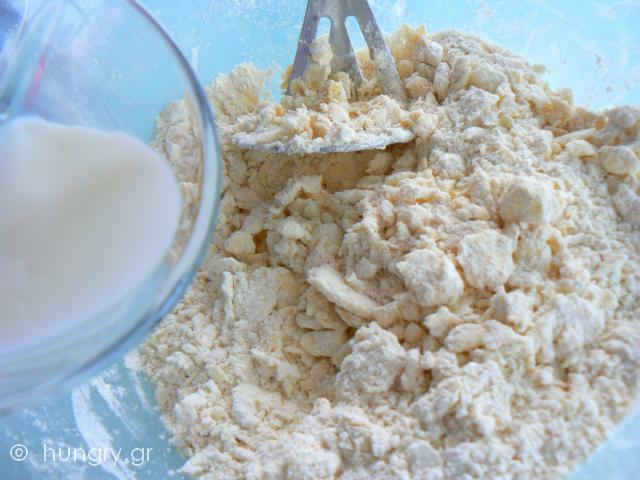 Using a fork, press the butter into the flour to the mix and make a crumby dough. 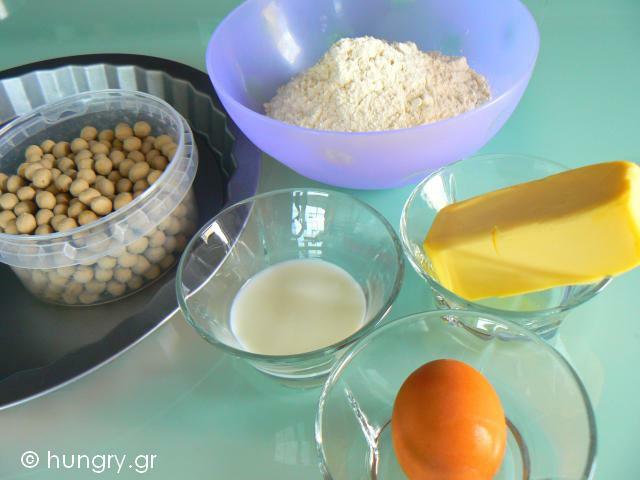 Finally add the milk and shape the dough into a ball with our hands. 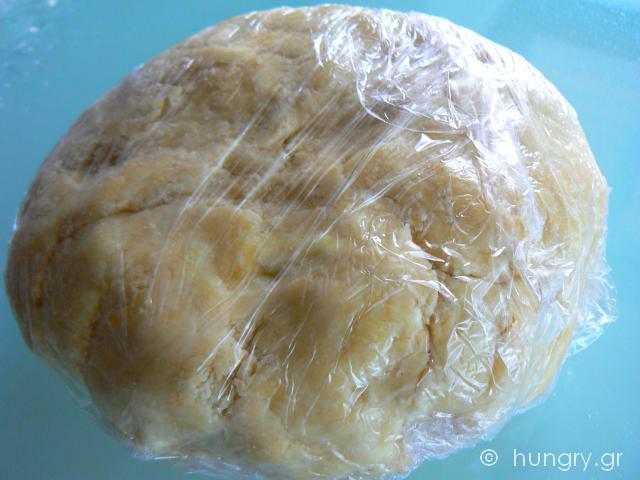 Wrap in film and place in the refrigerator for 1 hour or until the filling is prepared. 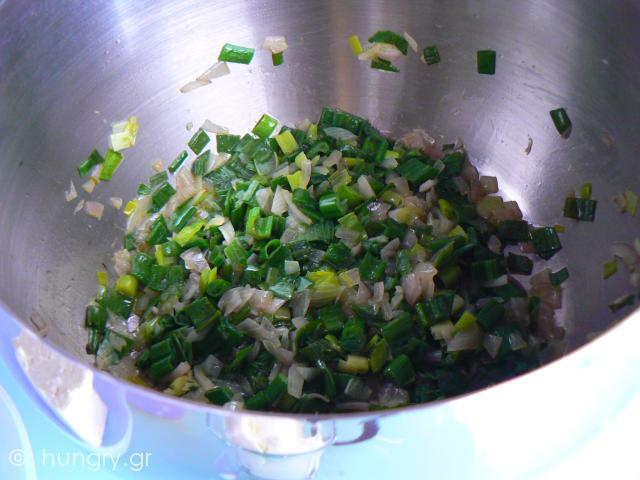 Chop the spring onions, the leek, and the onion. Sauté with olive oil in a deep skillet. 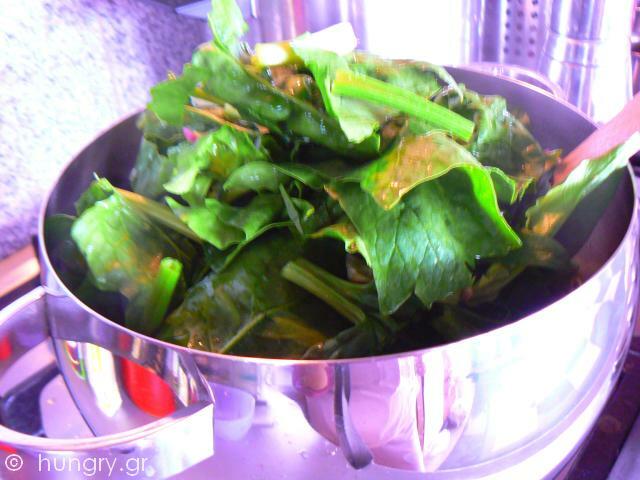 Wash and drain the spinach, add to skillet with the sauted onions and let it absorb the juices. 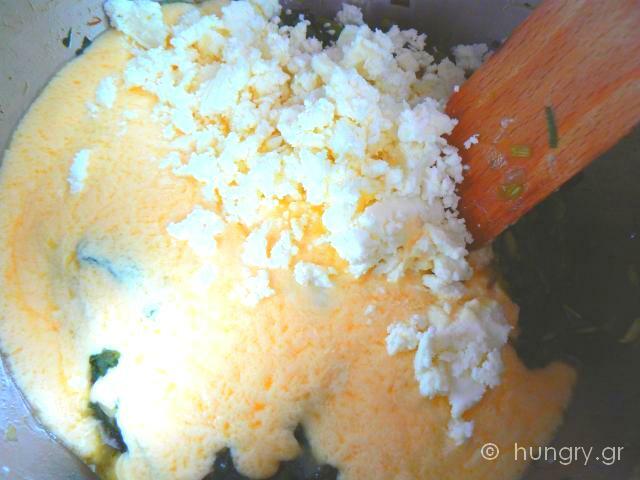 Remove from heat and let the mixture cool. 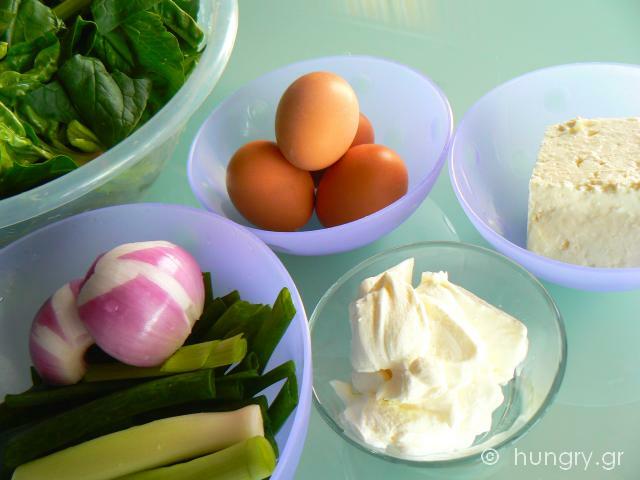 In a bowl beat the eggs with the yogurt. 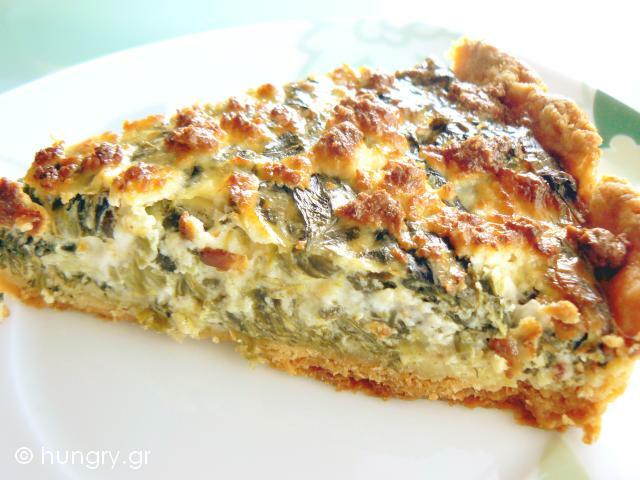 With a fork, crush the feta cheese and add half the mixture into the eggs. Add the semolina and nutmeg. Join the two mixtures and stir well. 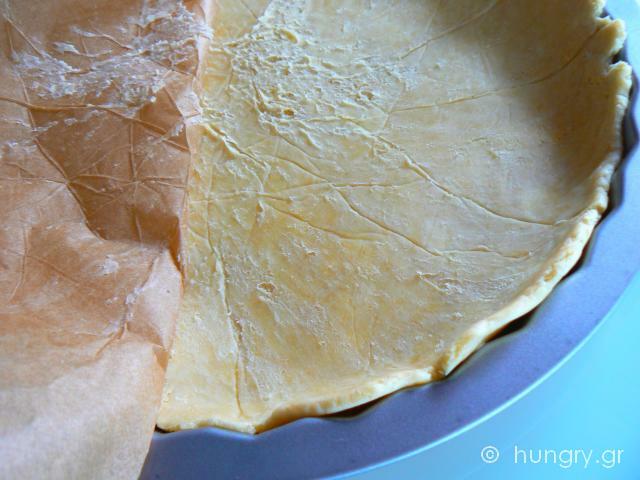 Grease a tart case with a diameter of 25 cm/ 10". 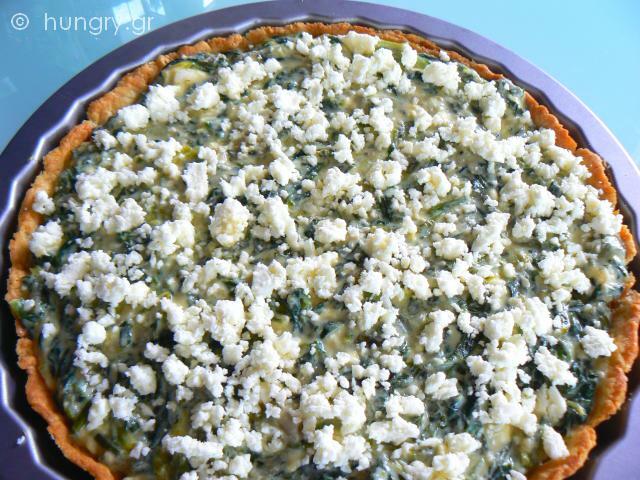 Take the dough from the refrigerator and open between two nonstick papers, a thick sheet with a diameter a little longer than the form so that we can lift the sides of the tart case. 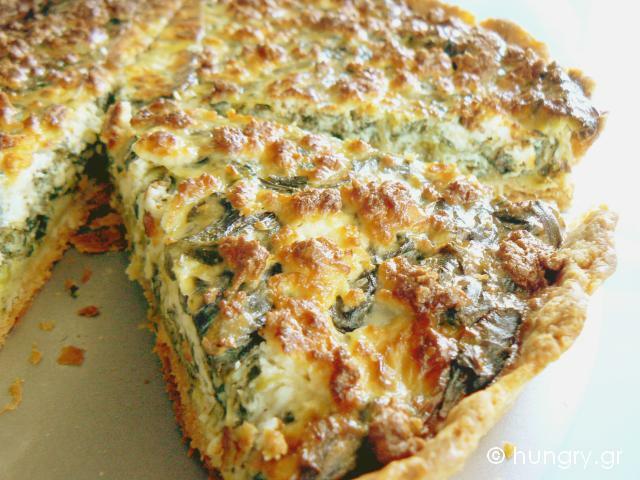 Place the sheet of dough in the tart form. 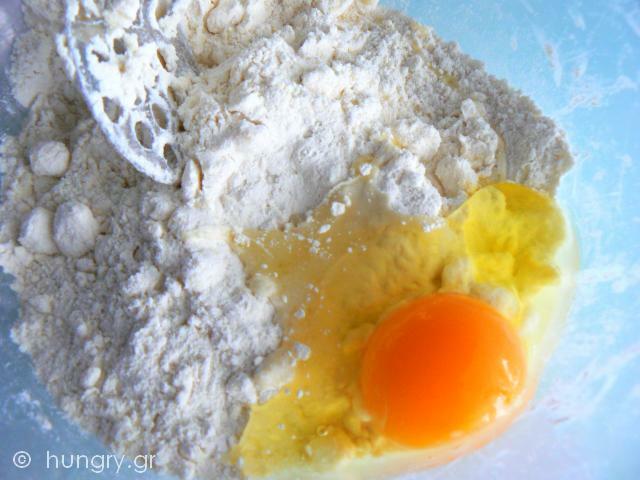 Fill the base of the dough with porcelain balls or make holes with a fork in several places, so that it is not overly inflated, and put in the oven at 190°C/ 375°F/ Gas Mark 5 for 10'. Remove from the oven and pour the filling that we have prepared. Spread the filling thoroughly, across the surface of the tart case. 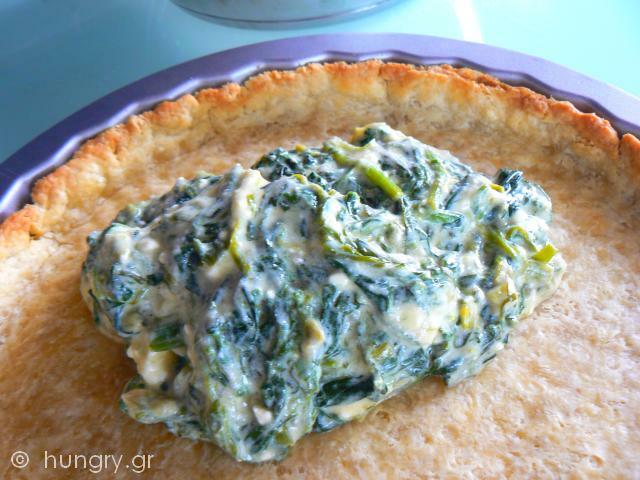 Spread the remaining feta cheese. Put the tart case back in the oven to the last rack and bake for 30'-35' to get a nice ruby color. 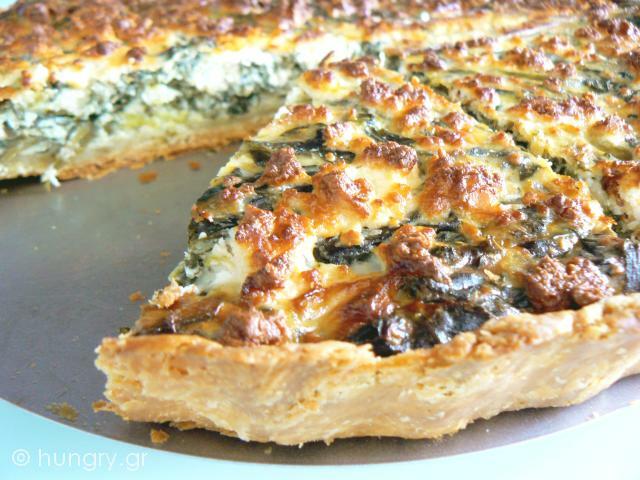 You may want to increase the amount of dough and make a second card which will cover the tart and get a very tasty pie.